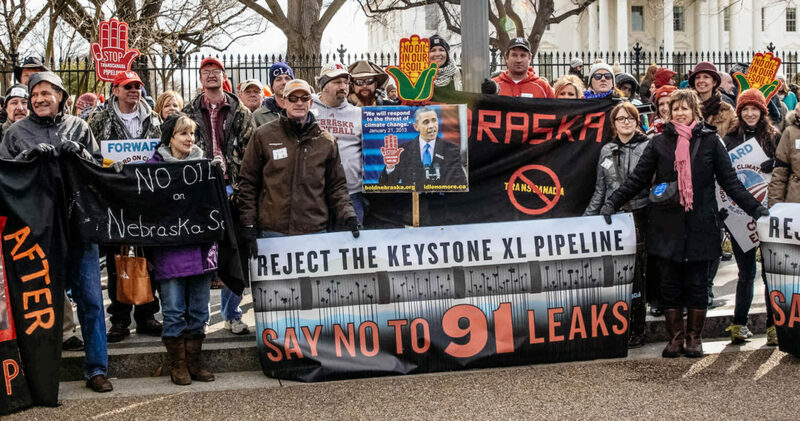 Throughout the Keystone XL fight, Nebraskans spoke up and took action to help stop TransCanada’s proposed tarsands export pipeline. Local activists in communities across the country can utilize the lessons we learned as a resource and inspiration to create actions in their own fights similar to what helped us in Nebraska achieve this historic victory over Big Oil. There’s lots of information to share, about a fight that some of us faced daily for almost eight years. Instead of continuing to subsidize fossil fuels and line the pockets of Big Oil and Gas, and worsening the impacts we’re already seeing from carbon emissions and climate change, we want to see investments in clean, American-made renewable energy. We need to enact stronger protections for our land, water, and citizens at all levels of government. 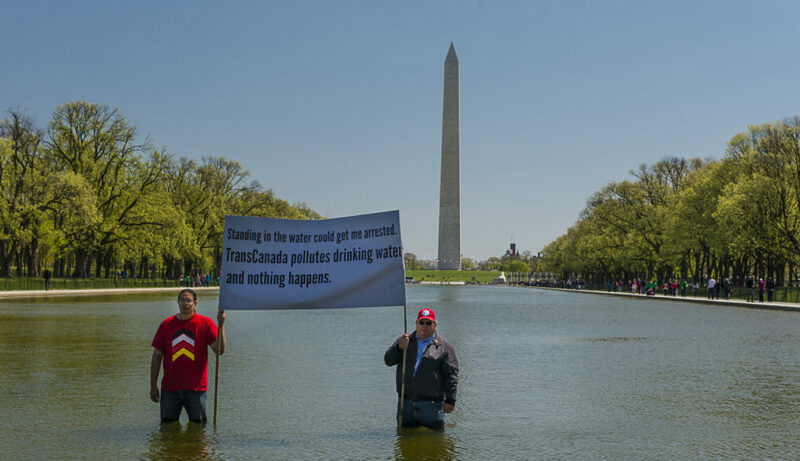 Cowboy & Indian Alliance #NoKXL action inside the reflecting pool during the “Reject & Protect” tipi encampment on the National Mall during April 2014. Nebraskans march in front of the U.S. Capitol during the “Reject & Protect” weeklong #NoKXL action in Washington, D.C. in April 2014. WATCH: Nebraskans and Pipeline Fighters from across the country testify at the State Dept. hearing on the environmental review for Keystone XL during an all-day hearing in Grand Island, Nebraska on April 18, 2013. Standing Bold: Bold Nebraska interviewed many of the landowners who joined with the Nebraska Easement Action Team to collectively battle eminent domain claims against their land for Keystone XL, about their experiences with TransCanada and during the years-long court battle they fought (and continue to fight!). An excerpt from the documentary film project is below. WATCH: Nebraskans talk about why they were fighting Keystone XL, featuring the Hammond, Harrington and Kleinschmidt families on whose land Bold Nebraska built a solar-powered barn directly in the path of the pipeline. Nebraska is an agriculture state — our economy is not powered by oil and gas development — therefore, big fossil fuel energy projects like tarsands pipelines are bad for our land, our water and our economic activity. We do not want to see them built.